Pralines on the dough: pure bliss for your taste buds! 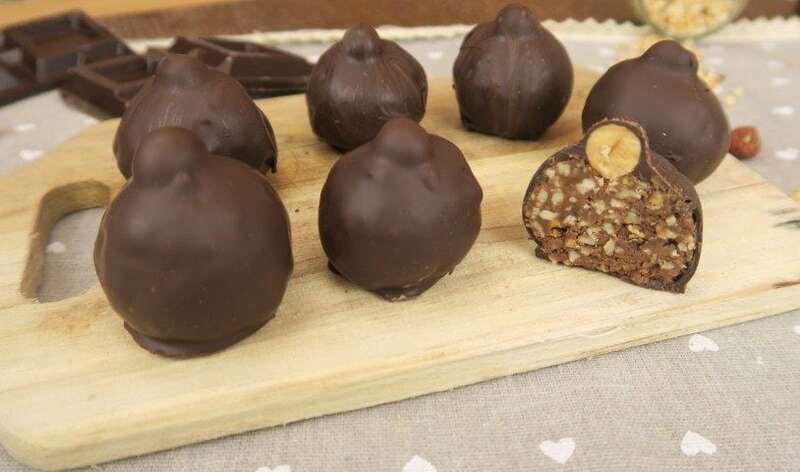 If you love the unique chocolate taste, these pralines are perfect for you. You'll need some pralines and puff pastry. Here's the quick and super delicious recipe everyone will go crazy for! Ingredients: chocolate pralines, 2 sheets of puff pastry. 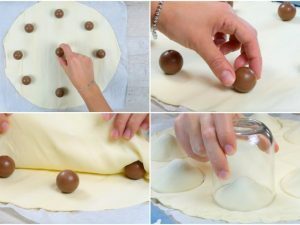 1)Set the pralines on the first sheet of puff pastry, then cover it with the second sheet and join the edges. 2) With a glass, cut out some circles making sure there is a praline in the center. 3) Brush with egg yolk and bake ate 356°F (180°) for 15 minutes. The result is to die for! Ingredients: 50g milk chocolate; 1 tsp unsweetened cocoa powder; 20g butter; 50g ground hazelnuts; 60g hazelnut cream. Enough dark chocolate to cover your pralines. Melt the milk chocolate and the butter by putting them in the microwave for a few seconds. Add the hazelnut cream and then the ground hazelnuts. Mix all the ingredients together well. 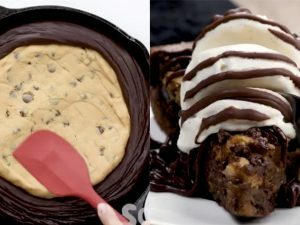 Freeze the mixture for 10/15 minutes. Make some small balls with this mixture, add a hazelnut to the top of each one and freeze them again for about 30 minutes. Cover them in dark chocolate and let the chocolate set completely before giving them to your loved one. Lashings of delicious custard... guaranteed to make your mouth water! 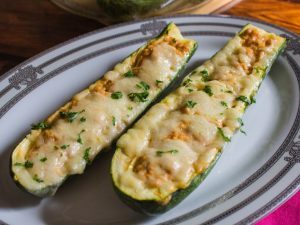 Chicken parm stuffed zucchini: a quick main dish that can also be served as an appetizer!